Choosing the right food for your dog can be a daunting task. Many of us have found ourselves overwhelmed standing in the pet food aisle, staring down a long line of bags, boxes, and cans, all promising to provide the very best and complete nutrition for our pets. In an industry that is highly under-regulated, one that basically allows manufacturers to make whatever claims about health and nutrition they want, no matter how truthful, it’s important for pet parents to take an active role, to read labels, and to do their research. I totally agree about the Propylene Glycol.. it is an antifreeze with “only” one third of the toxicity of regular antifreeze (Ethylene Glycol), but to that I would also add Glycerin and Sorbitol because, firstly, ALL can be contaminated with the killer compound Di-Ethylne Glycol (DEG). The FDA has issued new guidance about ingredients made from Jatropha curcas, a plant that has become popular in making biodiesel. The glycerin extracted in that process may contain toxins for which testing DOES NOT EXIST! Jatropha plants contain phorbol esters, which are toxic “both acute and chronic, to exposed humans and animals.” Oh yeah.. and Jatropha contains RICIN! The only test for this, developed by the Portuguese, is so expensive that it is only used in suspected terror cases and pet poisoning doesn’t count! The agency says it has not discovered any problems yet, but is trying to get out in front of the issue with the new rules. The plant has become popular in biodiesel production, the FDA says, because its seeds contain high levels of oil, the drought-resistant plant grows well in tropical and semi-tropical climates and it is relatively cheap to grow. Avoid ANY pet food containing Propylene Glycol, Sorbitol or Glycerin.. BENEFUL is 1% Propylene Glycol. Kibbles n Bits, Purina Active Senior 7 Plus (Dry), Bruiser Dog Food (Dry), Purina Be Happy Dog Food (Dry), Kibble Select Complete (Dry), Purina Healthy Morsels (Dry) and Kibbles ‘n Bits Bistro Meals (Dry) also contain Propylene Glycol. Jerky treats are typically 18% PG. Some Jerky Treats are no longer made using Propylene Glycol.. but are now using Glycerin.. from the same source, and, as you know, pets are STILL dying! Propylene glycol is a controversial additive used to help preserve the moisture content in some commercial dog foods. You may already recognize this chemical by its more “infamous” use: as the key component in newer automotive antifreeze. 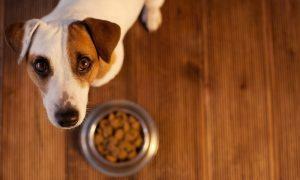 How about avoiding “dog food” altogether? My dogs (Pointer, pit mix, German shepherd/Great Dane mix and Yorkie) all eat raw whole chicken backs, from the butcher to their bowl. Dog food companies are in business to make a profit for their investors, not to make your dog healthy. What is dog food but a way to kill your dog as slowly as possible? How about the fact that here in Calif. alone we have had many recalls of chicken and beef. I wouldn’t feed raw food like that. I follow the above list and give vet approved veggies and fruits to our 12 year old dog. I live in CA as well and have never heard of any recall of chicken or beef. I’ve been feeding raw for 11 years. Solid Gold Wolf King dry for my Lab mix. Kirkland Lamb dry for my C. Shar Pei. they both do great on both of these foods. I feed my dog with Blue Buffalo dog food and I don’t see any of these ingredients on their ingredients list. I’ve been feeding my dog with this brand for five months now and he is doing great !!! I’ve been feeding my dog (medium size pom) Nutro Ultra for 2 years now. I give him the dry food and at dinner time I mix in a small container of their canned food. This food has no corn gluten, no corn, wheat or soy. It also has no artificial colors, flavors or preservatives and no fillers. It’s also a family owned business and made in the USA. The best part, other than what I described above, is he loves it! A happy and healthy dog is a happy owner! FYI, Nutro is not family-owned. It is owned by Mars Inc. And according to their customer service, the food is made in the US, however they refused to tell me where the ingredients came from. Apparently it’s proprietary. Mars is a family owned business, just a very big one. Nutro was one of the dog foods that caused several doggie deaths a few years ago. They were importing some of their ingredients from China (which doesn’t have any regulatory controls) and it was poisoning animals (including mine). I would be careful about using their products. On the other hand, they got a lot of bad publicity and might be more careful about their suppliers now. The fact that they refuse to tell where they get their ingredients is a red flag for me. they use by-products but list it as meat – there was just an article somewhere on it. Very deceptive practice. I work in a vet clinic, and I’ve seen a lot of animals come in with kidney and liver disease. It didn’t start to happen until the owners fed Blue Buffalo. Going broke buying dog food doesn’t mean you’re feeding the best food. Just saying. Visit http://www.dogfoodadvisor.com to see our your current food rates, or to find a new food for your dog. This website has a wealth of information. To see *how* your current food rates. In 2007, I lost a dog to the huge pet food recall. I was feeding a holistic kibble. Not only did I lose one dog…but my four other dogs and four cats were also very sick. I had to do daily trips to the vet for all of them. My vet was a holistic vet and we switched them to a diet where I cooked their food. I typically did crock pot style. I had one that was allergic to poultry so we did fish, venison, bison and lamb. Lots of fresh veggies….carrots, kale, seaweed, green beans, sweet potato, squash, zucchini, pumpkin, and peas. They love fruit and eat bananas, melon, cucumber, apples, pears, cherries, strawberries, blueberries, raspberries, mango, papaya, cranberries, peaches and many others. I also used barley. I started doing some research on different kibble brands and found that Orijen (made fresh in Canada) has never had any recalls and uses amazing ingredients. It’s more expensive than other dry kibble but my dogs and cats love it and their treats. They still eat raw veggies and fruit daily….but I don’t think I’ll ever switch from using Orijen. I use that brand as well. One of the few foods that guarantees all the raw ingredients are sourced locally as well and not just manufactured. My dogs are thriving on it. It’s no more expensive than any of the vet certified brands which contain questionable ingredients. I have been feeding my pup Earthborn Holistic since she was about 12 weeks old. It’s a family owned business located in Indiana and also has never had any recalls. Great ingredients and their grain-free formulas have been able to give us some great variety between protein sources. I also feed one of my Golden Retrievers, Orjen and she loves it. I would feed it to both of my girls, but it seems to be too rich for the other one. So she eats Eukanuba Weight Control. I only wish Orjen would make it in a weight control formula. My girl who is on the Orjen has gained so much weight with the food, even cutting back. Anyone have any suggestions? I do not want to take her off of this food. Much too healthy! I start with dry kibble of good quality. I then add a couple of spoons-ful of canned Pedigree chopped chicken. On top of that I pour some low sodium chicken broth, and two slices of cheapo thin-sliced deli chicken or turkey. My dogs scarf this stuff up like vacuum cleaners on pet hair. When all else fails, try baby food! It works every time. There are a lot of good testimonies with freshpet vital. It has no grain, potato, or fillers. All of our dogs ate table scraps when I was growing up. Not one of them died before the age of 15. We fed our dogs table scraps too on the farm; but our food was mostly fresh and home grown. Now the food we eat is not only good for us; but especially not good for our pets, table scraps are a real no no. I offered my pitbull raw meat and she turned her nose up at it. She would rather have a handful of cooked bacon than any raw meat! Guess she doesn’t know that she is a dog and is supposed to want to eat it. Go figure. (And before you start blowing a gasket, NO, I do not feed my dog handfuls of cooked bacon. That’s MY treat!). Don’t feel bad. My Rottie refuses raw meat even though she would eat it as a puppy. One day she turned her royal nose up and that was the end. She’s been known to eat vegetables before eating meat which is strange for a dog and she does not get a vegetable diet just vegetable treats. if you’re dog isn’t eating at all for a few days, please get with your vet to make sure it isn’t because something is wrong with their kidneys. I thought one of our babies was being a picky eater and she wasn’t. she was in kidney failure and food made her nauseous. It is only by the grace of God that we were able to save her. even the vets at UPenn didn’t think she would make it. if I could go back to the first couple days she wasn’t eating and decide to get her to the vet ASAP, I would in a second. She endured tons a medications that had to be forced down her throat, holistic food that had to be force fed to her through a dropper and administration of fluids (an IV drip) twice a day not to mention the pain and discomfort she may have been in. but she was only 4 when this happened last year and she wasn’t ready to go anywhere! she fought with us and made it! however, she will have pancreatitis for the rest of her life and requires special and more expensive prescription food now. she won’t get as many treats as she used to, but she is very much alive, happy and most of all, LOVED!!! You were lucky. I lost my toy poodle at 8 due to kidney failure. He was not eating;however, he was always a finicky eater. I knew he was going the vet, and when he went they checked his BUN levels and found out he had kidney failure. He went on prescription food I believe, and had to have IV drips and stuff, but he would not eat. I tried the baby food thing too, and wouldn’t eat. It was horrible, I was watching a dog starve to death. We had to put him down. Sad day … I have two dogs now A bichon and a mixed shitzu mix they both eat Candiadae and are doing well with that!! Newmans Own wet, mixed with Organix grain free dry. Perfect mixture for my dogs so far. Unfortunately Newmans dry doesn’t have enough moisture in it, causes very hard poop. I feed my goldendoodle Fromm – Salmon/Tuna and I top it off with a little warm water just enough that it doesn’t float the food. It adds moisture. I have successfully been feeding a raw (whole prey model) diet to my two cats and dog since May 2013. I did a boatload of research before switching their diet to what they currently eat. I would never go back to feeding kibble. In my opinion, the best analogy of kibble would be humans eating cereal every day. Could our body live on it? Sure, but we wouldn’t be getting all of the nutrients our bodies need. A great deal of the allergies pets have is due to the crap that manufacturers put in kibble to make it (laughably) whole and complete. We’re finding that processed foods aren’t good for humans and are causing a myriad of health issues. 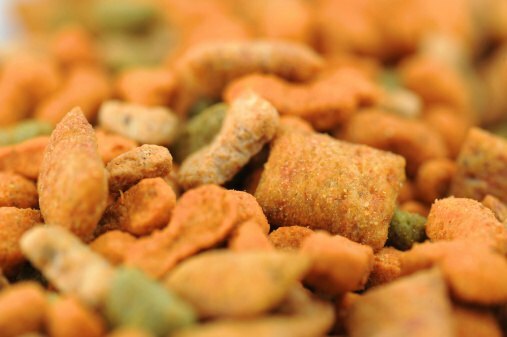 It isn’t difficult to see that kibble (also a processed food with tons of preservatives) is causing a myriad of health issues with our pets. I also do understand that my pets aren’t ‘killing’ their meals like their ancestors once did but they sure are healthy with the raw meals I put out for them (noted by their clean, white teeth, soft, shiny coats and vet visits confirming their overall optimal health). 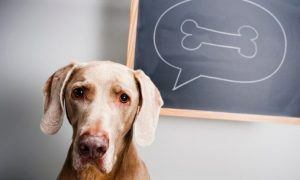 Dr Karen Becker on Dr Mercola website has the best two part talk on petfood diets. She is a holistic vet up in Chicago and is wonderful! About 3 – 4 Pounds Chicken Pieces (legs/thighs) or an entire chicken. 1 pound of cooked fish or shrimp. Fresh green beans or frozen, cooked but not mushy. Any other grain product you would like to use (like quinoa). At least two of the above grains need to be cooked, for the mix. Put the chicken pieces or entire chicken in a very big pot (at least 6 quarts or larger). Add water to cover, plus a little extra. While the chicken is cooking, cook up the grain ingredients separately. After the grains and vegetables (and hard boiled eggs if they are also added) are cooled and cooked they can be mixed together into a large bowl. This mixture is next put into a food processor and ground up until it is barely smooth but not mushy. Set this aside until the chicken is fully cooked. After the chicken is cooked and cooled down, pull the meat off the bones. Throw away the bones. Grind up the chicken meat in the food processor, in small batches, (adding stock from the pot as necessary to get a textured, not mushy product). Fry the liver until cooked throughout. Fry the fish or shrimp until thoroughly cooked. Grind up the liver and fish in the food processor; mix the ground chicken with the grains, hard boiled eggs, veggies until well combined. Any stock left over, can be frozen and used the next time you make up your next batch. This will last in the fridge for about two weeks. Or put into smaller containers and frozen and used as needed. I mix this with a high quality dry pet food that does not contain any corn products. I think it’s great you cook for your dog. I do the same for my three. I’ve always cooked and provided different fruits/veggies with their healthy dry food and my dogs have Never had any kind of skin troubles or tummy troubles. I have extremely healthy dogs with beautiful coats. With my first dog, I followed all those rules about giving your dog the same thing everyday and he was at the vet about every 2 months with some trouble or other. I currently feed my dogs home-made food and several different kibble products that are recommended on the dog food advisor site. I feel that giving them these different foods each day gives them a well rounded healthy diet And if there’s ever a time when One of the things they eat isn’t available, I know I won’t have sick doggies who have to eat something they’ve never eaten before. More information would be helpful but without that I can only give possible reasons. First make sure you and your vet have ruled out any medical issues such as dental decay.Be honest with yourself. Is she skinny or does she simply not want to eat as much as you would like? It is common for people to want their dogs to eat the amount the owners put down but it’s quite possible, especially at her age, that she simply does not need or want as much food as she used to. When owners try “everything” to get their dogs to eat it can result in the dog feeling like food is punishment. Unless she has a medical reason or she is very skinny you should STOP trying various things and settle on a good quality food. Our ten year old Yorkie will not eat her dog food any longer. She was on Blue but will not eat it now. We have tried several other brands and she won’t eat those either. Now she will only eat some people food. Or what a vet called table scraps. I don’t think that is healthy. I boiled a chicken for her and she would not eat that either. What do you suggest? Have you tried frozen food like, Steve’s? Try a full raw diet. I have a very picky eater as well. She even turned down raw food after a week or two. The only way we could get her to eat was to add wet food to her dry food. After that became such a pain, we tried Merrick dry grain-free since she loves thwir chews. She hasnt had a problem in almost a year. Have you tried Stella and Chewy’s? When my senior dog didn’t want to eat her regular kibble, I started cooking for her… boiled chicken and brown rice with a little bit of chicken liver. After a few days, she didn’t want that anymore and I couldn’t get her to eat ANYTHING. One of my friends recommended Stella and Chewy’s. They come in patties. She said, “Give her the food and then crumble a patty over it. I’ve never seen a dog not eat it” and she works in a natural pet food shop. She was right. Anytime my girl didn’t want to eat, I would crumble a patty of Stella and Chewy’s over her food and it would be magically gone. Also, in a pinch (and if you’re strapped for cash), canned chicken works too. It’s really stinky and virtually irresistible to dogs. Works every time for me! Good luck! We make our dog’s food; he’d been a picky eater when he was younger, likely a side effect of surviving parvo, and after he ate something that didn’t agree with him the vet suggested I put him on a bland diet of chicken & rice. As it turned out he loved this ‘bland’ diet like nothing else and we’ve been making his food ever since. I do a 1/1/1 mix of protein, veggies, and rice and supplement it with some olive oil and a nutritional powder from Missing Link. Which may not be necessary but what the hell. The cheapest protein source I’ve found (that isn’t a huge pain in the a**) is boneless chicken thighs at Costco for $2 a lb. For veggies I just buy whatever appropriate frozen stuff is discounted at the grocery; usually I use green beans and carrots. Some people use eggs but I never got in the habit. If I find raw pumpkin on sale in a can I’ll use some of that (in moderation, else the ‘output’ is a little gross looking). I just put it all in the rice cooker and go about my business. I used to food process it but now I put it in a mixer with a paddle attachment (after reading someone somewhere say that worked well to ‘pull’ meats) so it’s sufficiently homogenized. For our 22lb dog a batch lasts about 10 days, so as time commitments go it’s not much worse than a trip to the pet store to buy food. Don, I use the same recipe. I occasionally add fresh sweet potatoes as well. I use ground turkey in place of the chicken. We have two labs and a mini Schnuzer. They all love the food. For snacks they enjoy apple slices with and without peanut butter. All the food we give them is human consumable. Oh and sometimes I use oatmeal (old fashion) in place of the rice. Their coats shine, their teeth are good, and they are in excellent health. I also give them a daily multi vitamin from PetSmart. do you cook the oatmeal or just add to the cooked foo? We switched our dog over to Blue also and now she doesn’t like it and we have to sweeten it with raw eggs or oatmeal to get her to eat it. We used to feed Royal Canine small breed as recommended by our vet. Guess we will have to go back to it. Do not go back to royal canine. Dogs get sick of their food quickly, try switching it up often. I buy a few different things at a time and just rotate through them each day. She use to be a very picky eater and now will eat anything. your dog is obviously spoiled.